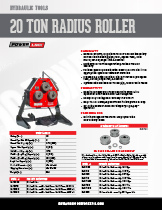 Our Pipe, Tube and Section Radius Roller is another essential quick-connect hydraulic tool. 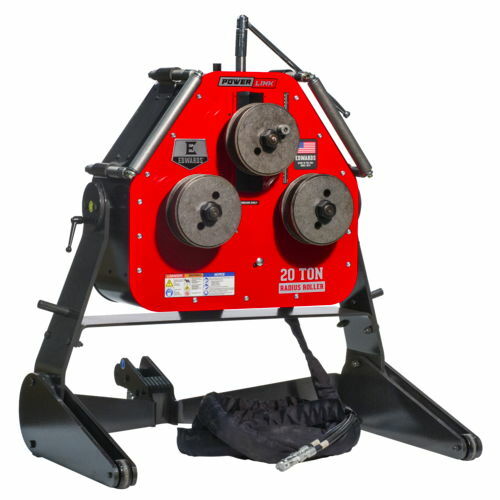 Plug it into your Edwards Ironworker with the PowerLink System or power it separately with an Edwards Portable Power Unit to greatly expand your fabrication capabilities. 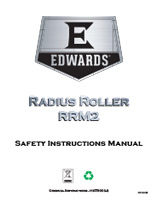 Designed for medium to heavy material, the Edwards Radius Roller powers through your job quickly and accurately. The variable speed hydraulic drive allows you to dial in the appropriate speed for various materials. Quickly change the orientation from vertical for smaller projects to horizontal for those larger, heavier jobs.